Six year old children usually have lots of energy and need plenty of opportunities to burn it off. Fine motor skills are typically becoming more advanced during this time of development, and 6-year-olds will enjoy activities to strengthen these new abilities. 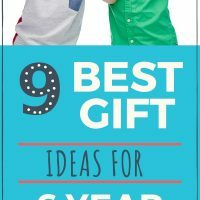 Here are some of the best gifts for 6 year old boys that are sure to be sure to be a hit! SHORT ON TIME? 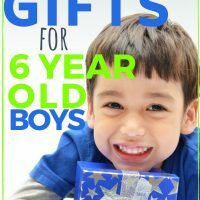 SAVE TO PINTEREST NOW & READ ABOUT GIFTS FOR 6 YEAR OLD BOYS LATER! This drawing pad lights up and your child can choose from over 100 images to trace. Kids can also choose from the downloadable images online if they get tired of the ones with the kit. The tracing templates are in layers, so each part is traced separately. He will start with a character, then add clothes, shoes, etc. The art kit comes with a graphite pencil, colored pencils, 10 tracing sheets, and 10 drawing sheets. When you run out of the paper, there’s no specialty paper to purchase. You can easily use regular printer paper. The only thing that isn’t included are 3 AA batteries to power the LED light. A toy that will bring many hours of creative fun! If you are on a budget, these finger rockets are a great pick. This is a super fancy slingshot that all ages will absolutely LOVE! It has a button for the LED light which flashes making it fun to play with at night. 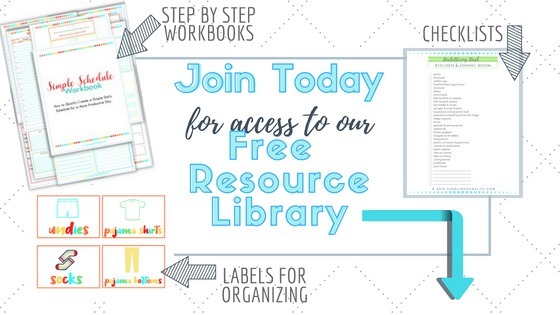 Such a simple, screen free activity that gets kids moving and using their brain. No batteries required. What little boy doesn’t love a rocket? Especially one that he powers with a mighty stomp! The Stomp Rockets come with 3 stunt planes, an adjustable launch stand, and a launch stomp pad with air hose. The Looper Plane performs a giant loop, the Glider Plane soars up to 100 feet, and the Wildcat does crazy tricks. Designed by aeronautical engineers, this STEM toy will teach all about trajectory, force, aerodynamics, and more. In addition, it gets kids outside running, jumping, and stomping. The angle of flight can easily be adjusted with the launch stand and the force of the stomp will determine how far it goes. The harder you stomp, the higher the plane will fly. No batteries required since the Stomp Rockets are 100% kid powered. If you have a lot of trees in your yard, might want to have dad ready with a ladder. Add The Stomp Rocket Stompin Science Book for a complete gift of interactive learning fun! It has lessons for all ages and grade levels. Get ready for an adventure when your little explorer gets this gift! The binoculars magnify 5 times for watching birds, squirrels, and observing nature. The flashlight is rechargeable and will light the way for a camping trip or just for nighttime trips to the bathroom at home. The compass will help your adventurous boy learn to follow directions to find his way in the wilderness. The net is for capturing small insects or lizards so he can inspect them closely using the magnifier. He can also use the magnifier to observe the details of plants, sea shells, rocks and more. All of the explorer tools fit conveniently in the included bag so he can pack up and be ready for the next adventure! Add this Book about Backyard Nature for a complete gift that any 6 year old will love. If your boy aspires to someday ‘hang ten’ then he will think this Spooner Board is totally awesome! 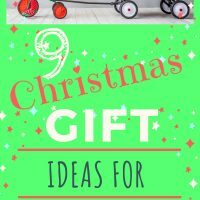 This gift is a great way to replicate all of the fun board sports that your son may not be ready for yet. He can sit on it, balance, spin, walk, twist, and wobble his way to better coordination. Fantastic for strengthening and improving the core and gross motor skills. The best part is that it can be used on almost any surface—indoors or outside. It’s ideal for indoor play when cooped up on a rainy day. Have a fidgety kid that seems to be in constant motion? The Spooner Board will be a wonderful sensory tool to help regulate that extra energy. What kid wouldn’t love to be a giant on stilts? These have removable training feet that make them excellent for beginners. Once skills on the stilts advance, just change out the wide training feet and easily replace with the no-skid caps. The height of the stilts can be quickly adjusted as well. These are very easy to assemble—you just snap them together right out of the box. The stilts can handle a weight of up to 110 pounds, so your little guy should be able to enjoy these for quite awhile. This gift gets kids up and moving to get healthy exercise that is fun. Learning to walk on stilts promotes persistence, and builds balance, coordination and strength. Be sure to include safety gear —just in case! Get ready to race the ATV trails with this Lego set. Legos are always a hit and provide hours of creative fun. This gift lets your child build a pickup truck with a detachable trailer to carry ATV’s to the riding trails. The mini ATV riders have their helmets and are ready to ride. You can never go wrong with Legos! This is like kinetic sand on steroids! The Smart Sand Kit comes with three different colors of sand totaling over five pounds of this unique squishy sand (that never dries out). It also includes 24 shaping molds, 5 crafting tools, a sand scoop, and a large nylon mat to create on. This gift is ideal for sensory integration and for improving fine motor skills will all the molding, squeezing, pushing, and flattening of the sand into the molds. This big family sized set is perfect for play dates or for the whole family to join in the fun. A great indoor activity that kids of all ages will enjoy. Boys will have the best time creating their own Jurassic world excursion with this dinosaur race track. The flexible track can easily be turned and curved to make different configurations that travel through obstacles, trees, and dinosaurs. Two off road vehicles race through the slopes and turns of the track to escape the dinosaurs. This dinosaur adventure will provide hours of creativity and fun. Don’t forget batteries for the vehicles—each SUV will need one AA battery.